Amongst an array of top class relocation service providers, we are tremendously proud to be recognised as one of the leaders of the global mobility industry. The Relocation Management Company of the Year award is one of the headline awards on the global mobility events calendar. Featured in the ‘Under 10,000 Moves a Year’ category, we were honoured to receive our nomination and immensely proud of coming so close to taking home the title. To finish runners up in this esteemed category demonstrates that Kent delivers on its mission to provide outstanding relocation support to clients and assignees alike. The Destination Services Provider of the Year award recognises the highest standards of destination services management. A highly coveted award in the industry, nominees are selected from a broad range of providers across many specialisations. 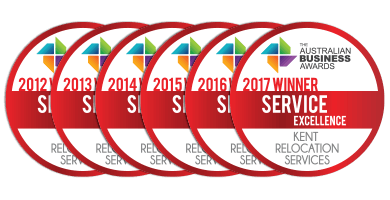 We’re proud to be featured as a Highly Recommended provider for our full-suite destination management capabilities and service excellence. As we set our sights on another year of service excellence, it’s worth reflecting on the values and accomplishments that have resulted in our esteemed recognition at this year’s Mobility Awards. Kent is proud to be Australia’s largest tier one relocation and removals company. We’re honoured to have provided world-class relocation services to over a million individuals throughout the world. Throughout our seven decades of service, we’ve developed a special understanding of the Australian market, and call upon truly local knowledge to provide the very best relocation services to our clients. Kent provides Australia’s only 5-star Quality Service Guarantee, and by showing utter commitment to our clients’ success, we believe we’ll be in contention to take home these prestigious Mobility Awards in years ahead.